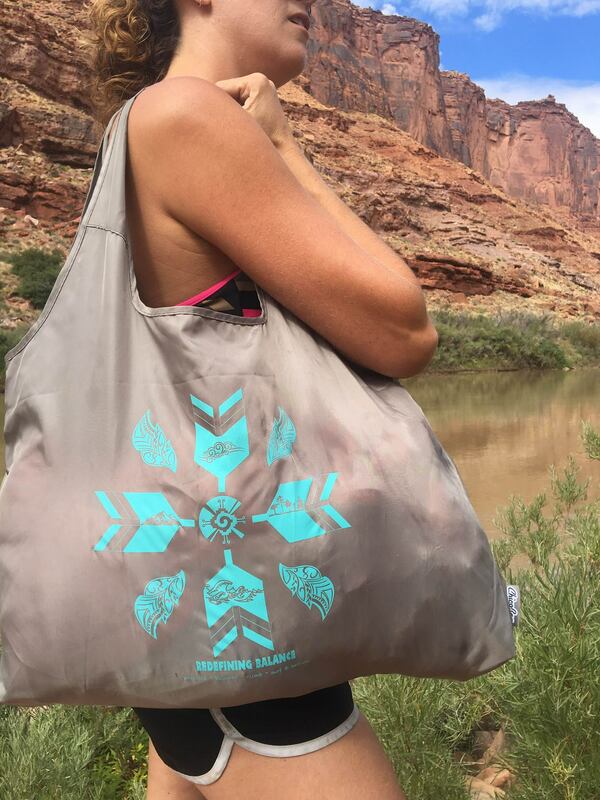 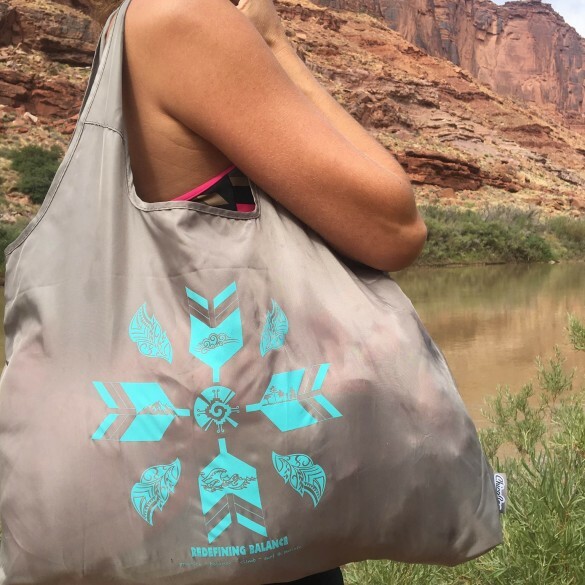 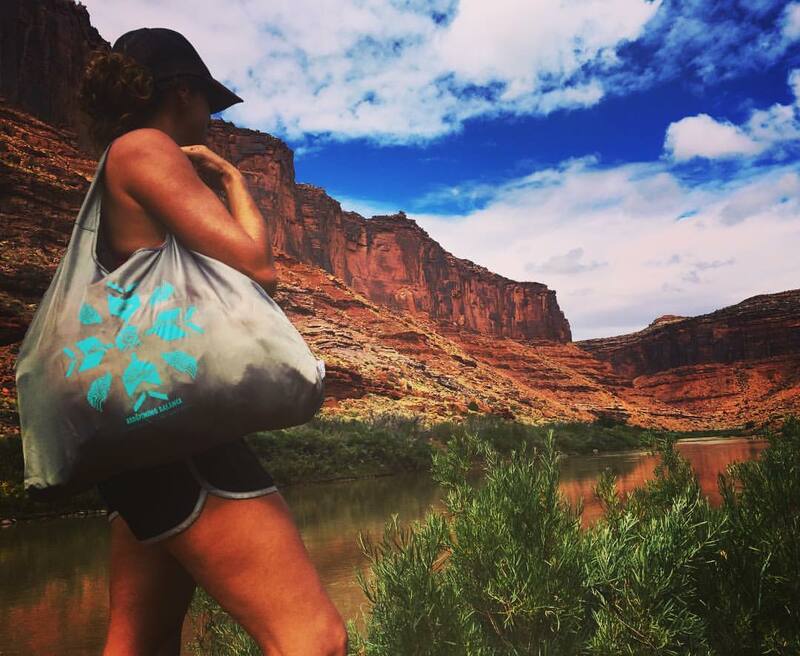 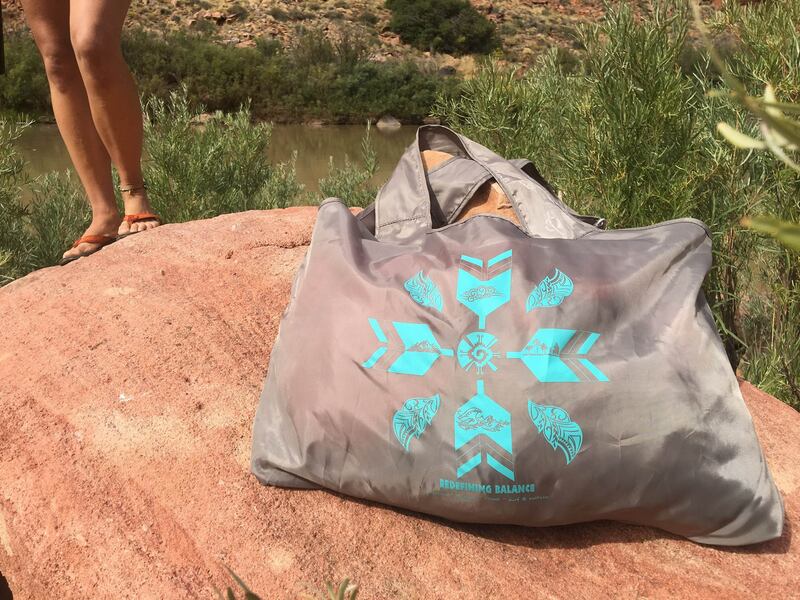 Made from recycled plastic and printed with natural inks, these bags are the perfect companion for all of your adventures. 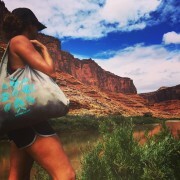 Large enough to fit climbing gear, slacklines, bikinis, towels and whatever else you might need they also pack up small into a sewn in inner pouch. 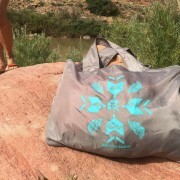 Limited edition and printed by our friends at Chico Bag.